 Industrial Clutch Parts Ltd. supply a complete range of Goizper Pneumatically Actuated Multi Disc Clutches. Available and stocked in an array of styles and sizes to meet your requirements. Goizper Pneumatic Clutch Series 5.35 has been manufactured and designed as a separate brake and clutch solution. Best suited for applications in which technical issues prevent the use of the combined clutch-brake. Industrial Clutch Parts Ltd. holds stock of the Goizper 5.35 Series. We are able to provide quick delivery times and reduce machine downtime for applications in which technical issues prevent the use of the combined clutch-brakes. Goizper Pneumatic Clutch Series 5.35 transmits torque from one shaft to the other through the friction between their inner and outer discs. The torque of these discs, and therefore clutching, is produced by air pressure.